For many, it just isn’t feasible to throw down a few hundred or thousand dollars for virtual reality devices like the Oculus Rift or Sony Project Morpheus. Thus, Google Cardboard is Google’s smart and savvy response to the high demand for VR headsets. The cardboard device is low-cost and designed so that the average VR enthusiast can assemble it themselves. By pairing your smartphone with any of the various Cardboard devices (Knox Labs, Dodo Case, and I Am Cardboard, to name a few), users can experience top mobile apps in an entirely different and affordable way. We’ve got the best Google Cardboard apps to try out with your cutting-edge headset. In this VR game, users must forgo regular public transportation due to the flooded subways of New York. Users must hop on a surfboard and maneuver their way through the tunnels without falling. By simply tilting your head to move, the game tracks your smartphone’s accelerometer to determine balance. Of the many games on Google, this one might make your neck hurt the next day. Another game set in the creepy, dark subways, but this time the tunnels are full of blood-thirsty zombies and creatures. Zombie Shooter VR is arguably one of the best of the free virtual reality games on Google Play due to its simplicity. Wherever you look, your weapon will automatically fire, and thankfully, the game gives you unlimited bullets just in case your eyes start to wander from the screen. Flappy Bird has gone down in history as one of the best mobile games (not to mention most addicting) we’ve seen in recent years. Everyone’s favorite game is back and better than ever for Google Cardboard. Now, users can play the game through the eyes of the flappy bird, using the headset trigger to jump through the pipes instead of having to bob your head constantly to fly. You’ll have to try the game for yourself to see if it’s just as addicting as its predecessor. Jaunt Inc. teamed up with Third Man Records to create the ultimate concert experience. This app will let you watch Jack White perform hit songs like “Freedom at 21” and “Dead Leaves and the Dirty Ground,” all through your cardboard VR headset. The 360-degree footage as well stereoscopic 3D will change concert “going,” entirely. The Glitchr VR app brings a new twist to the way we see reality. This application layers filters on your camera’s input, allowing for distortion, color change, etc. More impressively, by using the magnet switch, the app becomes entirely hands-free, meaning users can change filters by speaking simple commands. Flip from filter to filter, take screenshots, and even turn on your device’s flashlight with this trippy app. This Google Cardboard movie takes a walk on the spooky side with the help of the popular app, Sisters. The horror simulator is designed to completely immerse users into the terrifying scene with 360-degrees visuals and audio. This app is meant to freak you out, so be aware if you choose to enter into this unsettling virtual reality. Just like the name sounds, this VR app takes users on a journey through space. Riding a roller coaster, the video sends you through the cosmos to get a better glimpse of places beyond Earth. Google selected this app to debut at Sundance this past year, and it was met with rave reviews. 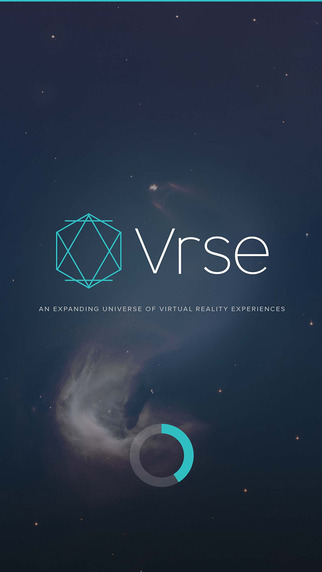 A full screen, 360-degree curated video, complete with “dynamically changing directional binaural sound” is what VRSE is comprised of. The short film is only a few minutes long, but packs a punch when it comes to the experience. Looking to use your device for more than just some free Google games? 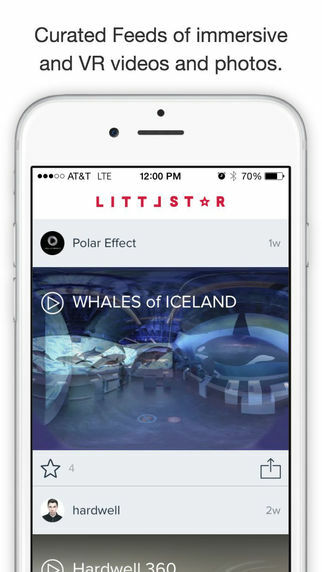 Littlstar is introducing valuable new content from major companies like Red Bull, MLB, Mercedes, and DKNY. Use both touch-panning and the movement of your smartphone to get a 360-degree content from over 20 categories like Sports, Lifestyle, Entertainment, and Fashion. The whole point of Google Cardboard is to be able to look at cool things, and Orbulus doesn’t disappoint. Different Photo Spheres hold different pictures, allowing users to see everything from the Northern Lights to images from Mars. Now you can take a little trip around the world without having to leave your house!